Telemachus: Should You Worry About Tax Reform? Should You Worry About Tax Reform? Not if you are one of the 103 million taxpayers who chooses the standard deduction instead of itemizing every deduction. 2/3rds of all American taxpayers are in this group. The only thing they have to worry about in tax reform is whether their tax rate is going up or down. Chances are tax reform will not affect 103 million taxpayers very much one way or the other. Tax rates should go down for them when all is said and done based on comments from the Trump White House so far. When they hear commentators bleating about 'tax fairness' and 'the rich paying their fair share of taxes! 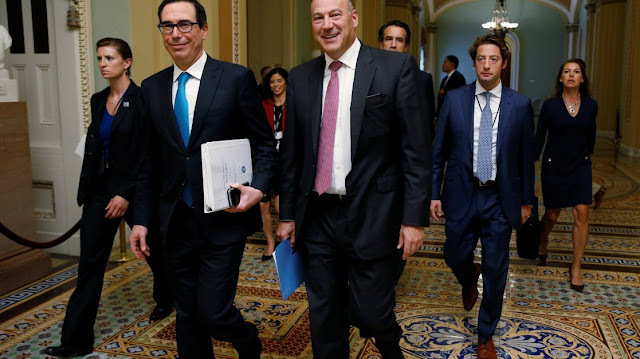 ', they can and should watch football games, work in the yard, play with their kids or grandkids and get plenty of sleep this fall instead of worrying a whole lot about 'tax reform'. Tax reform is very much a 'higher income' concern to between 20-25 million taxpayers then. The question for higher-income taxpayers will be whether lower tax rates will offset the loss of some of the major tax deductions they have used to lower their tax liability over the years. Why do we have tax deductions in the first place? The income tax didn't become a reality until the Civil War and was then promptly declared unconstitutional. Income taxes became 'constitutional' in 1913 after ratification of the 16th Amendment. Class warfare almost immediately ensued as the highest tax rates exploded from 7% to 77% by 1918 to finance World War I to 94% during World War II. Tax deductions became very popular almost immediately as well simply because the top rate was so high. No one in their right mind was going to work in America and give 94% of it back to the government without a fight. The tax deduction for employer-sponsored health plans started during World War II because of the wage-and-price freezes imposed by FDR. Providing health care coverage was a way to use the corporate tax code to deduct the 'cost of doing business' which included fringe benefits such as health care coverage for workers. The corporate tax deduction for health care accounts for the largest net loss of taxes ($235 billion) to the federal treasury of any tax deduction on the books today and also covers almost twice as many people as Medicare and Medicaid combined. If learning about and understanding the inequities in the tax code today doesn't make you want to throw your hands in the air and start praying for a consumption tax to replace it, nothing will. Compressing the tax code to squeeze out as many deductions, exemptions and credits as humanly possible in return for lower rates across the board makes sense for all of us.